Last year, I planted two new varieties of daffodils on top of the graves for our farm dogs Winston and Phoebe. 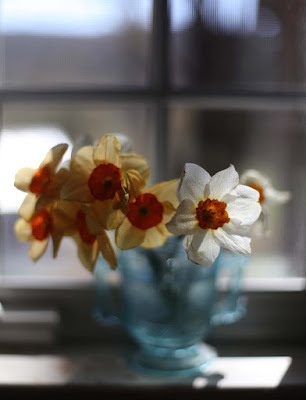 They are blooming now and I'm enjoying them on my kitchen windowsill. I've made this a tradition, marking the spot where our loyal dogs lay. It makes me think of them each year as the daffodils bloom. I would love to have tulips but the deer and sheep would eat them so I don't waste my money. The nice thing about daffodils is that they spread and live for several years. There is a lot of color popping up in my garden. I mean to document it but life has been busy. 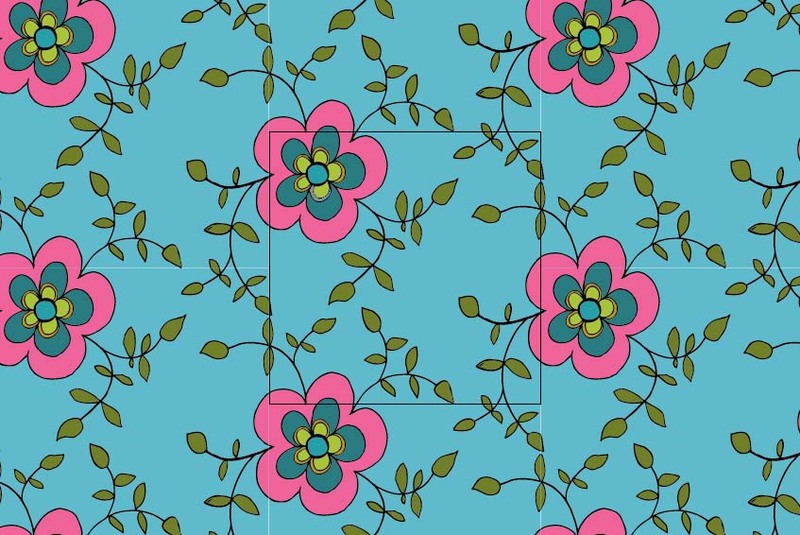 Two weekends ago, I took an on-line class called Pattern Camp with Jessica Swift. 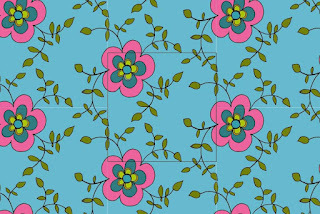 It was a great class on designing patterns using both Adobe Illustrator and Photoshop. I did it all in one weekend but now need to go back and re-take the lessons so I don't forget. Jessica is a great teacher and was available all weekend long. There is also a closed Facebook group where she answers questions and you can get help from other students. The videos are available for one month and there are some PDFs that you have access to forever. If you are interested in designing patterns and know these two programs, you might want to give it a go too. Here is one of the half drop repeats I made. It's a sure sign of spring here in western Massachusetts when the Farmers Markets begin again. Yesterday I spent the day in Northampton at the Tuesday Market. It was rainy and freezing cold and needless to say the people weren't flocking to buy frozen meat. Thank goodness for lots of wool - long underwear, gloves, hat and scarves. There is always next week. I'm very sad about the local peach crop this year. It seems that the buds were destroyed. From what I understand, the peach trees hadn't gone dormant because of the warm December/January weather and when we had a deep freeze in February, it killed all the buds which had already started forming. I guess we will have to eat Georgia peaches instead of local peaches. 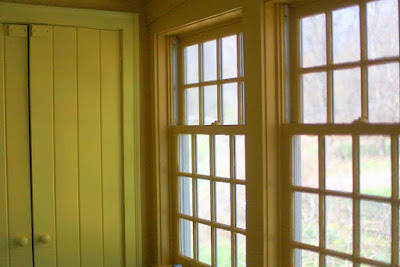 I have finished doing the base coats on the bedroom I am re-doing for my upcoming book Crafting A Patterned Home. I love the colors. 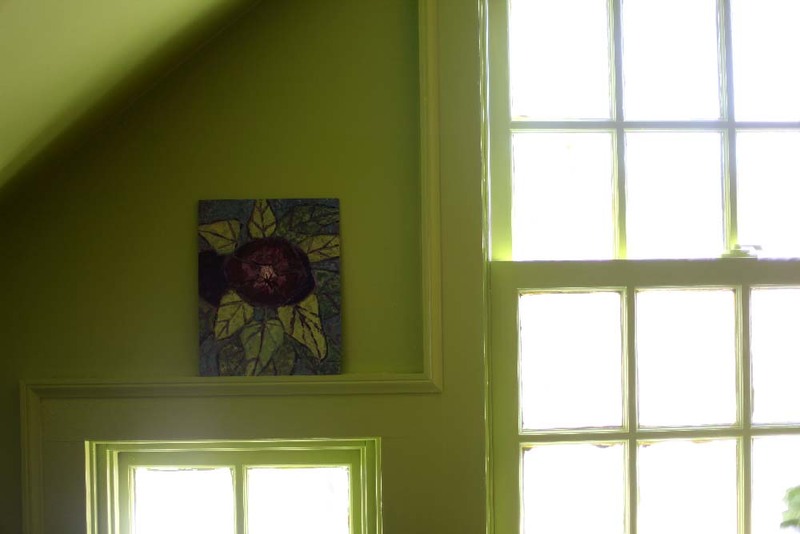 I used a gold for most of the room, bright yellow for the closet doors, and a pretty green for the east wall where the sun rises. Now for the fun part. To plan it, I have cut out some sunflower shapes and taped them to the wall to make sure I like the scale and feeling of the design. 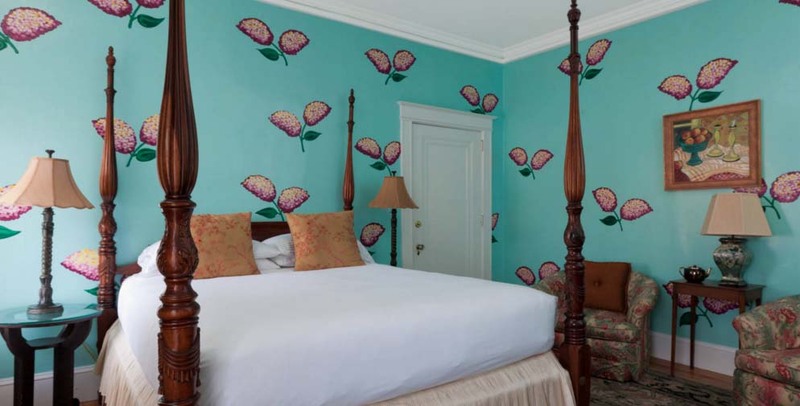 Many years ago, I stayed at a beautiful little hotel in Portland, Maine called The Pomegranate Inn. 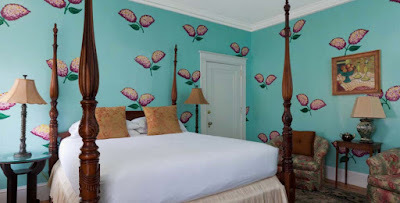 The bedroom I stayed in had hand-painted walls that gave the feeling of wallpaper. At that point, I didn't have a digital camera or a phone so I had the idea just floating in my head. I did find that the hotel is still in business (but with new owners) and there are photos of the rooms. I think that they have been re-done since I was there but they are quite beautiful and an inspiration. Here is one which is quite pretty. I've put some more photos on my Pinterest Board here. I've been using Pinterest to collect ideas for the book. I can see how people get addicted to it. I can also see that people can spend a whole lot of time on it. I have avoided Pinterest for years and thought that I should probably see what it is all about considering I am still blogging and it generates traffic for my blog and website. I am a slow adaptor of things for sure. There is only so much time in the day. This is a link to all my Pinterest boards if you are interested in following me. There is also a link on my right sidebar. Tomorrow I am going to be on the Marly Bird Podcast. It is a live show (noon Eastern time, 10 a.m. Mountain Time) and there will be prizes that I will give away. You can also listen to the podcast later and still win the prizes. Marly is so much fun and I look forward to the conversation. You can listen live and call in to chat with me. The Listener dial-in number is (347)539-5589. You will be able to listen to the conversation later. This is the link to the taped show. The WEBS Annual Fleece and Tent Sale is Saturday May 14th. I will be selling our farm raised lamb and my books. Here is the link for more info. The Tent Sale continues on Sunday but no me or fleeces. Hope to meet some of you in Northampton on the 14th. 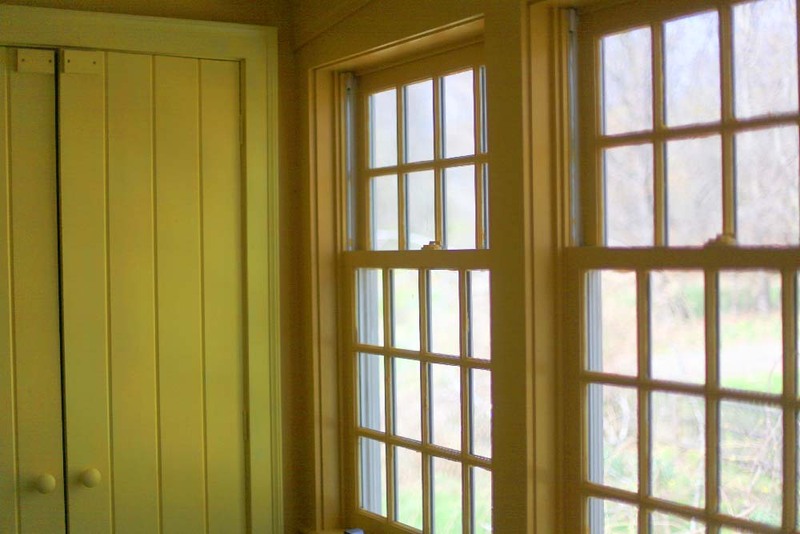 The first Brimfield Flea Market of the year is May 10 to 15. Check it out here. I'm going for sure - just not sure what day. Hope to find some new things for my book project. 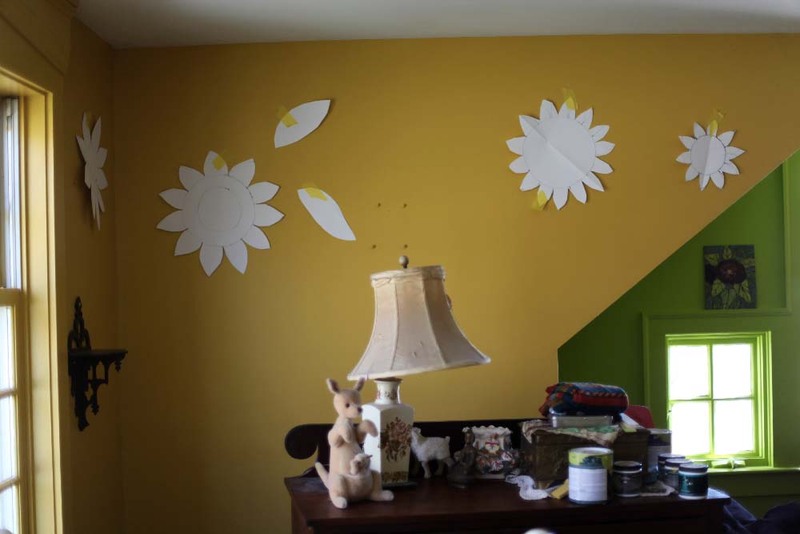 Love the progress on your room. Can't wait to see more. It's actually been DRY here for well over a week. - All of those nasty storms have been keeping south of us. However, despite the sunny days, temps have only been in the 40s... 50ish on the "hot" days! - Of course, in these parts, when the snow is gone and the temps actually STAY at 35 or above for more than 5 minutes, it's "PATIO TIME" and along with the breaking out of shorts and "T"s!! Meanwhile, are Crocuses are still about, but the Daffs & Tulips are barely half up. Buds are starting on the Lilacs, but I'm not sure how they'll fair this year. Anyhoo, SOOO *WISH* that I could "hunt" with you over at Brimfield!! - Then again, my "bank account" would be conspiring to LOCK me away!! In which case, that whole "BORDER" and crappy "EXCHANGE RATE" is probably a "GOOD THING" right now. whatever.. Have *FUN* and for me too! Like your daffodils and the thought behind them. Your room is going to be really nice-can't wait to set more. Thanks for sharing! Spring? We are expecting 6-12" of snow Friday... :::sigh::: So much for my flowering trees. I planted daffodils and tulips together alternating them and the local wildlife left them alone because the daffodils are poisonous. We only have moles, squirrels, and other small animals here, but in the past they always ate the tulips and now they don't. It might work for deer as well.